The cover of Jose Feliciano’s 1971 album Of Muse and Man nearly makes me want to start a “Batshit Crazy Album Covers Gallery.” I don’t know if this cover is brilliant or one of the absolutely worst album covers ever. I’ve been sitting on this one for months, hoping to get an interview with Feliciano or someone from his camp. There are just so many questions. Why was this album released also as That the Spirit Needs? Why did you choose to cover Elton John and Cat Stevens on this album? 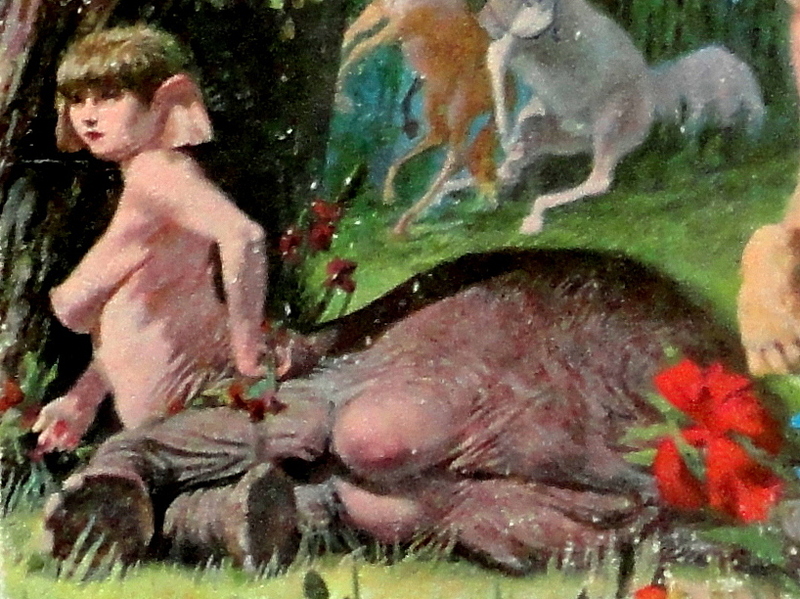 What the hell is up with this elephant-footed double double D cup satyr? It’s actually a pretty tasty album. I’ve liked Feliciano’s voice since I was a kid eagerly awaiting the main title sequence of Chico and the Man. And the guy is a great, great guitarist. Also, he’s blind. Seriously, I think that this cover might have been somebody’s idea of a practical joke. Well, Jose, I’m sorry we couldn’t get an interview cooking. I’d love to learn more about this one. Regardless, I welcome you to the Bad Album Cover Hall of Fame. Well, this album had two covers. That one is from the U.S. edition, but in most of the world has been edited with another album cover, much better. Yes, maybe it’s a strange image, I agree. In any case it doesnt matter a lot, because the important thing really, is inside. As the Spirit. And this album, as you know, is superb. International covers are great. That’s a corner of collecting that I’ve done my best to avoid, as I can see myself getting out of control with that one. What’s odd about this album is that both versions were released in the U.S., just with different titles and cover art. Really odd. Thanks for dropping by, and hello to all my friends in Spain! All-inclusiveness is important in the world of entertainment.